The latest newsletter includes what’s happening with monitoring, funding, nurseries, education, the calendar of events, and more. Looking for something older? View the newsletter archive. Receive the newsletter directly in your inbox by signing up for our mailing list. In California, in 2018, tanoak (Notholithocarpus densiflorus) mortality attributed to sudden oak death (Phytophthora ramorum) increased by over 1.6 million dead trees across 106,000 acres (Figure 1). Mortality generally increased in extent and severity in the known infested coastal areas from Monterey County to Humboldt Co. In northwestern California, acres with tanoak mortality attributed to sudden oak death increased to 86,812 acres, up from 15,455 acres in 2017. The dead trees are concentrated west of the costal range, as reported by the Aerial Detection Survey, Pacific Southwest Region, Forest Service. These figures are based on aerial observations of dead trees. While sudden oak death is probable, follow-up ground reconnaissance has not been done to verify the cause of mortality. For more information, contact Jeff Moore, US Forest Service, Pacific Southwest Region, Aerial Survey Program Manager, jwmoore02@usda.gov. Figure 1. Older and recent tanoak mortality north of Ukiah, Mendocino County. USDA FS, PSW Region photo. In 2018, 47 streams in seven states (AL, GA, MS, NC, PA, SC, and TX) were surveyed in the USDA-Forest Service, Cooperative Sudden Oak Death Early Detection Stream Survey. Of 520 baited stream samples, Phytophthora ramorum was detected from six streams—four in Alabama, one in Mississippi, and one in North Carolina. All positive streams were associated with previously P. ramorum-positive nurseries. 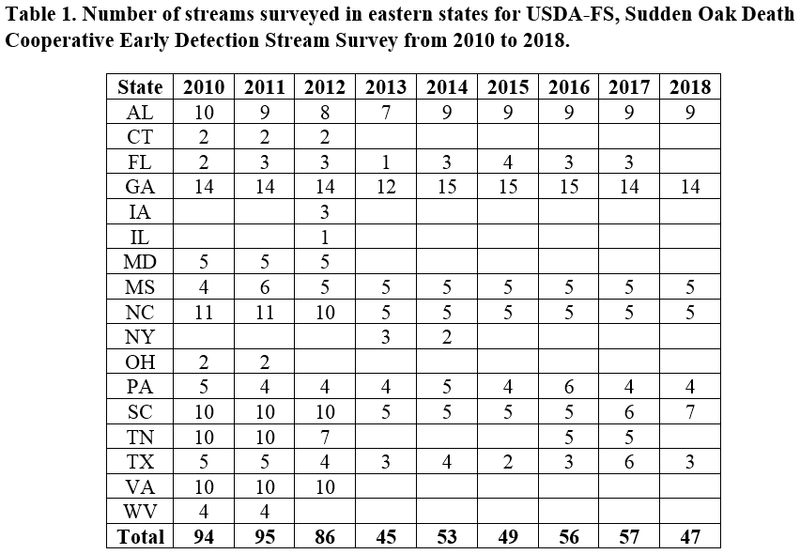 Since 2010, up to 14 eastern U.S. states have participated in the USDA-FS Sudden Oak Death (SOD), Cooperative Early Detection Stream Survey annually (Table 1). The number of participating states has varied by year with seven states conducting surveys in 2018 compared to 14 in 2010. The number of streams surveyed annually has ranged from 45 to 95. Over the past 9 years, Phytophthora ramorum has been detected from 11 streams in six states—four in Alabama, one in Florida, two in Georgia, one in Mississippi, one in North Carolina, and two in Texas (Figure 1). The pathogen has been found multiple times in eight streams and has been consistently present in two steams in Alabama, and one each in Mississippi and North Carolina (Table 2). 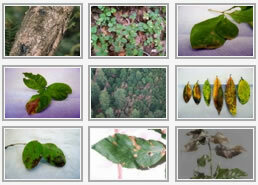 For more information, contact Jaesoon Hwang, Plant Pathologist, US Forest Service, Southern Region, jaesoonhwang@fs.fed.us. Figure 2. Location of streams in eastern states positive for Phytophthora ramorum from USDA-FS Sudden Oak Death Early Detection Stream Survey from 2010 to 2018. California Department of Food and Agriculture P. ramorum program update: Upcoming spring compliance inspections and new positives at interstate shipping nurseries. Six California nurseries that were previously positive for P. ramorum and ship host material interstate will be inspected and sampled in April for Federal Order DA-2014-02 compliance. Three additional interstate shipping nurseries were found positive for P. ramorum in the first months of 2019. The addition of these nurseries brings the total to nine California interstate shippers positive for P. ramorum. All of the positive nurseries are undergoing or have completed the USDA’s Official Regulatory Protocol for Nurseries Containing Plants Infected with Phytophthora ramorum (CNP). One of the previously positive nurseries sampled in February in accordance with the CNP was found to have an additional 64 positive Camellia sp. plants on site. Destruction of positive plants and further delimitation is underway at this nursery. For more information contact, Carolyn Lambert, Carolyn.Lambert@cdfa.ca.gov. Washington Department of Agriculture P. ramorum program update. In March, a water bait sample was confirmed positive from the Kitsap County Botanical Garden, where the first detection of P. ramorum occurred in 2015. The water bait is from a pond below the previous positive sites that were mitigated in 2016. This is the third confirmed positive water bait from the pond since June 2018. The pond undergoes periodic maintenance to remove accumulated sediment, so mitigation measures are being discussed to treat the sediment and water. The pond is less than a mile from the ocean. For more information contact Scott Brooks, SBrooks@agr.wa.gov. Dale, A.L. ; Feau, N.; Everhart, S.E. ; Dhillon, B.; Wong, B.; Sheppard, J.; Bilodeau, G.J. ; Brar, A.; Tabima, J.F. ; Shen, D.; Brasier, C.M. ; Tyler, B.M. ; Grünwald, N.J.; Hamelin R.C. 2019. Mitotic recombination and rapid genome evolution in the invasive forest pathogen Phytophthora ramorum. mBio. 10:e02452-18. https://doi.org/10.1128/mBio.02452-18. Invasive alien species often have reduced genetic diversity and must adapt to new environments. Given the success of many invasions, this is sometimes called the genetic paradox of invasion. 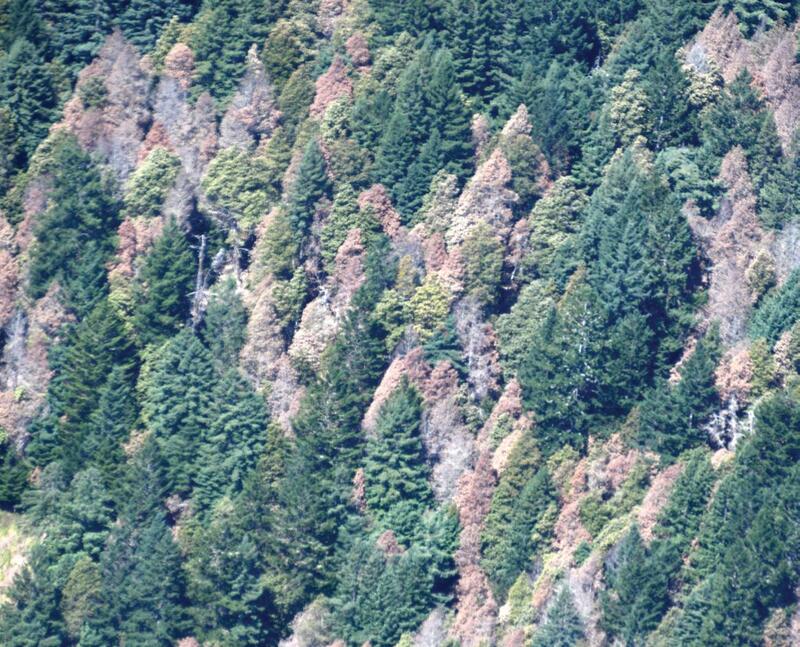 Phytophthora ramorum is invasive, limited to asexual reproduction within four lineages, and presumed clonal. It is responsible for sudden oak death in the United States, sudden larch death in Europe, and ramorum blight in North America and Europe. We sequenced the genomes of 107 isolates to determine how this pathogen can overcome the invasion paradox. Mitotic recombination (MR) associated with transposons and low gene density has generated runs of homozygosity (ROH) affecting 2,698 genes, resulting in novel genotypic diversity within the lineages. One ROH enriched in effectors was ﬁxed in the NA1 lineage. An independent ROH affected the same scaffold in the EU1 lineage, suggesting an MR hot spot and a selection target. Differences in host infection between EU1 isolates with and without the ROH suggest that they may differ in aggressiveness. Non-core regions (not shared by all lineages) had signatures of accelerated evolution and were enriched in putative pathogenicity genes and transposons. There was a striking pattern of gene loss, including all effectors, in the non-core EU2 genome. Positive selection was observed in 8.0% of RxLR and 18.8% of Crinkler effector genes compared with 0.9% of the core eukaryotic gene set. We conclude that the P. ramorum lineages are diverging via a rapidly evolving non-core genome and that the invasive asexual lineages are not clonal, but display genotypic diversity caused by MR.
Kalantarzadeh, M.; Mulholland, D.; De Leij, F. and Webber, J.F. In press. Induced antimicrobial activity in heat-treated woodchips inhibits the activity of the invasive plant pathogen Phytophthora ramorum. Plant Pathology. Early View. https://doi.org/10.1111/ppa.13010. We investigated the antimicrobial activity of heat-treated woodchips of three woody host species against the invasive oomycete plant pathogen Phytophthora ramorum to assess the potential of heated woodchips for disease suppression. Results demonstrated that heat-treated pine (Pinus sylvestris), Japanese larch (Larix kaempferi) and rhododendron (Rhododendron ponticum) woodchips inhibited the recovery of P. ramorum spores and mycelium compared with similar material that had only been air-dried. Effects were most evident with pine and larch; inhibition was maintained even when larch woodchips were diluted with soil. In vitro assays using methanol crude extracts from woodchips of the three species showed they all had an inhibitory effect on P. ramorum zoospores and reduced chlamydospore germination compared with air-dried wood extracts. Chemical analysis of the extracts revealed several induced compounds were present but in different concentrations for each species. Coniferaldehyde was the most active inhibitory against spores and mycelium, whilst the dominant resin acids, dehydroabietic and abietic acid, decreased the minimum inhibitory concentration of phenolic compounds tested against P. ramorum but were ineffective when used alone. An array of compounds, including dehydroabietic acid, methyl abietate, α-pinene and 3-carene, occurred at elevated levels in the living tissue of Japanese larch bark attacked by P. ramorum. These compounds may be part of the induced resistance response of larch to P. ramorum. Results of a field trial using heat-treated and air-dried woodchips were consistent with the crude extract bioassay results, suggesting that heat-treated woody materials have potential to reduce the survival of P. ramorum under natural conditions. Malar, C,M. ; Yuzon, J.D. ; Das, S.; Das, A.; Panda, A.; Ghosh, S.; Tyler, B.M. ; Kasuga, T. and Tripathy, S. 2019. Haplotype-phased genome assembly of virulent Phythophthora ramorum isolate ND886 facilitated by long-read sequencing reveals effector polymorphisms and copy number variation. Molecular Plant-Microbe Interactions. https://doi.org/10.1094/MPMI-08-18-0222-R.
Phytophthora ramorum is a destructive pathogen that causes Sudden Oak Death. The genome sequence of P. ramorum isolate Pr102 was previously produced using Sanger reads, and contained 12 Mb of gaps. However, isolate Pr102 had shown reduced aggressiveness and genome abnormalities. In order to produce an improved genome assembly for P. ramorum, we performed long read sequencing of highly aggressive P. ramorum isolate CDFA1418886 (abbreviated as ND886). We generated a 60.5 Mb assembly of the ND886 genome using the Pacific Biosciences sequencing platform. The assembly includes 302 primary contigs (60.2 Mb) and 9 unplaced contigs (265 Kb). Additionally, we found a “Highly repetitive” component from the Pacbio unassembled unmapped reads containing tandem repeats that are not part of the 60.5 Mb genome. The overall repeat content in the primary assembly was much higher than the Pr102 Sanger version (48% vs. 29%) indicating that the long reads have captured repetitive regions effectively. The 302 primary contigs were phased into 345 haplotype blocks and 222,892 phased variants, of which the longest phased block was 1,513,201 bp with 7,265 phased variants. The improved phased assembly facilitated identification of 21 and 25 Crinkler effectors and 393 and 394 RXLR effector genes from two haplotypes. Of these, 24 and 25 RXLR effectors were newly predicted from Haplotype A and Haplotype B, respectively. In addition, 7 new paralogs of effector Avh207 were found in contig 54, not reported earlier. Comparison of the ND886 assembly with Pr102 V1 assembly suggests that several repeat-rich smaller scaffolds within the Pr102 V1 assembly were possibly misassembled; these regions are fully encompassed now in ND886 contigs. Our analysis further reveals that Pr102 is a heterokaryon with multiple nuclear types in the sequences corresponding to contig 10 of ND886 assembly. Mastin, A.; van den Bosch, F.; van den Berg, F. and Parnell, S.R. 2019. Quantifying the hidden costs of imperfect detection for early detection surveillance. Philosophical Transactions of the Royal Society B: Biological Sciences. Preview. The global spread of pathogens poses an increasing threat to health, ecosystems, and agriculture worldwide. As early detection of new incursions is key to effective control, new diagnostic tests which can detect pathogen presence shortly after initial infection hold great potential for detection of infection in individual hosts. However, these tests may be too expensive to be implemented at the sampling intensities required for early detection of a new epidemic at the population level. To evaluate the trade-off between earlier and/or more reliable detection and higher deployment costs, we need to consider the impacts of test performance, test cost, and pathogen epidemiology. Regarding test performance, the period before new infections can be first detected and the probability of detecting them are of particular importance. We propose a generic framework which can be easily used to evaluate a variety of different detection methods and identify important characteristics of the pathogen and the detection method to consider when planning early detection surveillance. We demonstrate the application of our method using the plant pathogen Phytophthora ramorum in the UK, and find that visual inspection for this pathogen is a more cost effective strategy for early detection surveillance than an early detection diagnostic test. Younis, B.A., Mahoney, L., Schweigkofler, W. and Suslow, K. 2019. Inactivation of plant pathogens in irrigation water runoff using a novel UV disinfection system. Eur. J. Plant Pathology. 153(3): 907–914. Untreated recycled irrigation water has been shown to introduce and spread plant pathogens such as Pythium and Phytophthora in commercial nurseries. Nevertheless, few nurseries currently treat their recycled irrigation water. Instead, nurseries use prophylactic pesticides to control the spread of plant pathogens, which increases costs and promotes the growth of resistant pathogens. 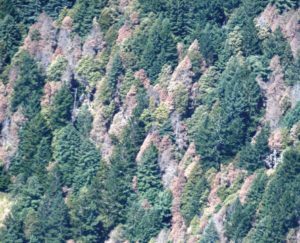 Of interest to California is the spread of Phytopthora ramorum, causal agent of Sudden Oak Death (SOD), responsible for the death of tens of thousands of trees in California and Oregon. This study investigated the use of a novel UV disinfection system to inactivate P. ramorum and other microbial contaminants at the National Ornamental Research Site at the Dominican University of California (NORS-DUC). In this system, the UV lamps do not come in contact with the water and hence remain free of the ‘lamp fouling’ problem. Tests on waters having the same characteristics as run-off from commercial nurseries showed a minimum of 3.7 log removal of bacterial species, 91.7% reduction of fungal counts, and 100% inactivation of the P. ramorum in the effluent. Treating the run-off from plant nurseries limits the spread of plant pathogens and enables the onsite re-use of the run-off. Davidson, N. 2019. Micropropagation of heritage rhododendron collections at the Royal Botanic Garden Edinburgh. Sibbaldia: The Journal of Botanic Garden Horticulture. 17: 189-200. Jung, T.; La Spada, F.; Pane, A.; Aloi, F.; Evoli, M.; Horta Jung, M. and others. 2019. Diversity and distribution of Phytophthora species in protected natural areas in Sicily. Forests. 10(3): 259. https://www.mdpi.com/1999-4907/10/3/259/pdf. Legeay, J.; Husson, C.; Cordier, T.; Vacher, C.; Marcais, B. and Buée, M. 2019. Comparison and validation of Oomycetes metabarcoding primers for Phytophthora high throughput sequencing. Plant Pathology. Early View. https://doi.org/10.1007/s42161-019-00276-9. Yang, X. and Hong, C. 2018. Differential usefulness of nine commonly used genetic markers for identifying Phytophthora species. Frontiers in microbiology. 9: 2334. https://doi.org/10.3389/fmicb.2018.02334. HB 2365, “Relating to Sudden Oak Death; and declaring an emergency” has been introduced in the Oregon State Legislature. The bill would declare a sudden oak death emergency and appropriate $1.7 million to the Oregon Forestry Department for the 2019-2021 biennium to carry out a pest management program to combat sudden oak death. For the complete bill text and more information, see https://olis.leg.state.or.us/liz/2019R1/Measures/Overview/HB2365. More than 15 P. ramorum projects totaling over $1 million have been awarded by the Farm Bill, USDA FY2019 Plant Protection Act, Section 7721, Plant Pest and Disease Management and Disaster Prevention Program administered by the Animal and Plant Health Inspection Service (APHIS). Twelve states will receive funding for P. ramorum nursery-related surveys. Four research projects will improve diagnostic tools and knowledge about P. ramorum population structure. A complete list of projects is posted at www.aphis.usda.gov/ppa-projects. Laboratory diagnosis for P. ramorum on oak trees is a newly available service from the UC Berkeley Forest Pathology and Mycology Laboratory. For details on how to participate in the OakSTeP (Oak SOD Testing Program) see https://nature.berkeley.edu/matteolab/?page_id=4564. A “Compilation of Information on Spread of Phytophthora ramorum in Soil and Water” by Chris Lee, CAL FIRE has been posted at http://www.suddenoakdeath.org/wp-content/uploads/2019/04/Pramorum-spread-soil-water_Nov-2018.pdf. Capsule summaries of 14 papers are provided to apply to management decision-making regarding the risk of P. ramorum spread. Over 20 SOD Blitzes are scheduled for this spring in communities from San Luis Obispo through northern Humboldt County. Participation is free, open to any interested party, and involves attendance of a 1-hour training followed by collecting trips to gather symptomatic California bay laurel and tanoak leaves. Samples will be analyzed for P. ramorum by the UC Berkeley, Forest Pathology and Mycology Laboratory and maps of pathogen distribution will be made available in October 2019. Dates, locations, and further details are listed at www.sodblitz.org. The USDA Forest Service and the PG&E Foundation, as well as numerous cooperating organizations, provide funding and support for the SOD Blitzes. Registration is now open for the Sudden Oak Death Seventh Science and Management Symposium, “Healthy Plants in a World with Phytophthora” (SOD7) to be held June 25- 27, 2019 in the Presidio, San Francisco. Over 50 talks and posters will feature P. ramorum and other Phytophthora species research and management. An interactive art + science hour, “7000 Marks” will ask questions sparked by pencils made from a P. ramorum infected tanoak in Big Sur. A late afternoon visit to the Presidio Nursery is planned to view their Phytophthora management program, as well as an optional field trip to Mt. Tamalpais. For more information, see the conference website, https://ucanr.edu/sites/sod7/. The 2019 California Forest Pest Council Insect and Disease Field Tour, intended for land managers, ecologists, vegetation managers, and the general public, will take place in the Fort Bragg area (Mendocino Co.) on Tuesday, July 16, 2019. The tour will visit a variety of forest pest issues on both private and public lands, including sudden oak death, bear damage, balsam woolly adelgid on grand fir, bishop pine decline, and Phytophthora cinnamomi damage. More information will be forthcoming at www.caforestpestcouncil.org. 6/25–27 – The Seventh Sudden Oak Death Seventh Science and Management Symposium. Golden Gate Club, The Presidio, San Francisco. For more information see https://ucanr.edu/sites/sod7/. 07/16 – California Forest Pest Council Insect and Disease Field Tour, Fort Bragg. For more information, see Meetings section above or contact Chris Lee, christopher.lee@fire.ca.gov. 11/13–14 –California Forest Pest Council 2019 Annual Meeting, UC Davis. Further information will be available in a few months.